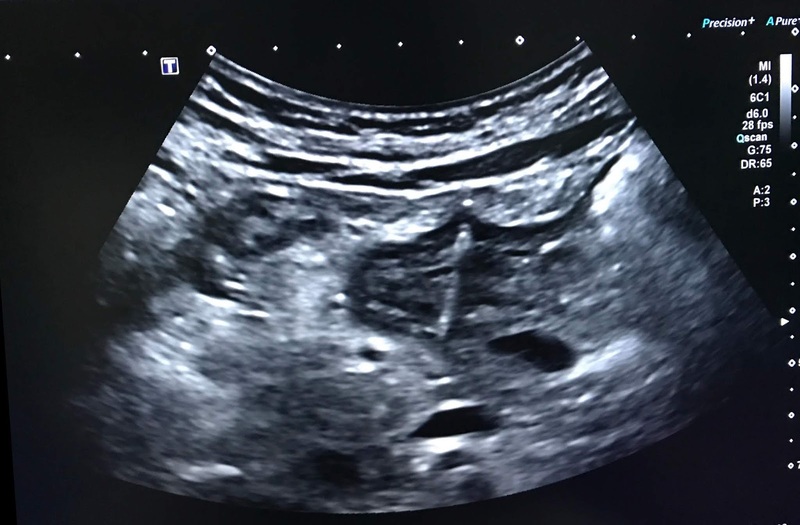 VIETNAMESE MEDIC ULTRASOUND: CASE 544: GASTRIC PERFORATION DUE TO FISHBONE, Dr PHAN THANH HAI, MEDIC MEDICAL CENTER, HCMC, VIETNAM. CASE 544: GASTRIC PERFORATION DUE TO FISHBONE, Dr PHAN THANH HAI, MEDIC MEDICAL CENTER, HCMC, VIETNAM. MAN 53 YO WITH EPIGASTRIC PAIN HAS BEEN TREATED AS GASTRITIS BUT NO RESPONSE. 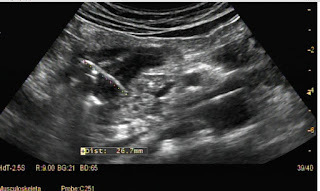 ULTRASOUND OF ABDOMEN DETECTED ONE ECHOGENIC BODY AT ANTRUM. US1/US 2 LOOK LIKE FOREIGN BODY. CT 1 /CT2 :SAGITTAL SHOW THAT PENETRATING THE WALL ofANTRUM TO PANCREAS. EMERGENCY GASTROENDOSCOPY REMOVE ONE FISHBONE 3 CM. 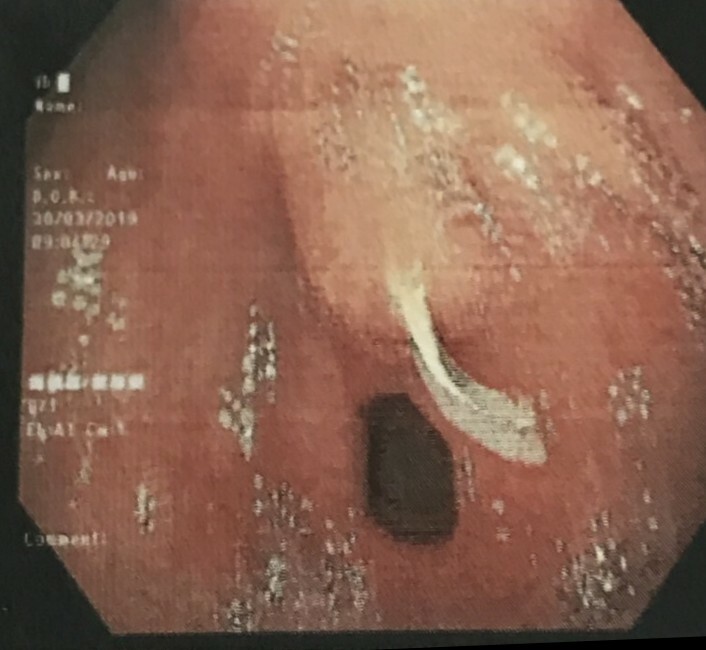 Nota= VUD published 18 cases of fishbone ingestion, including 4 cases of perforation of stomach that were removed endoscopically 2 cases.